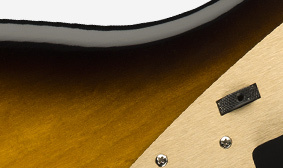 Lacquer finish lets the body breathe and enhancing resonance, sustain and the tonal character of the guitar. 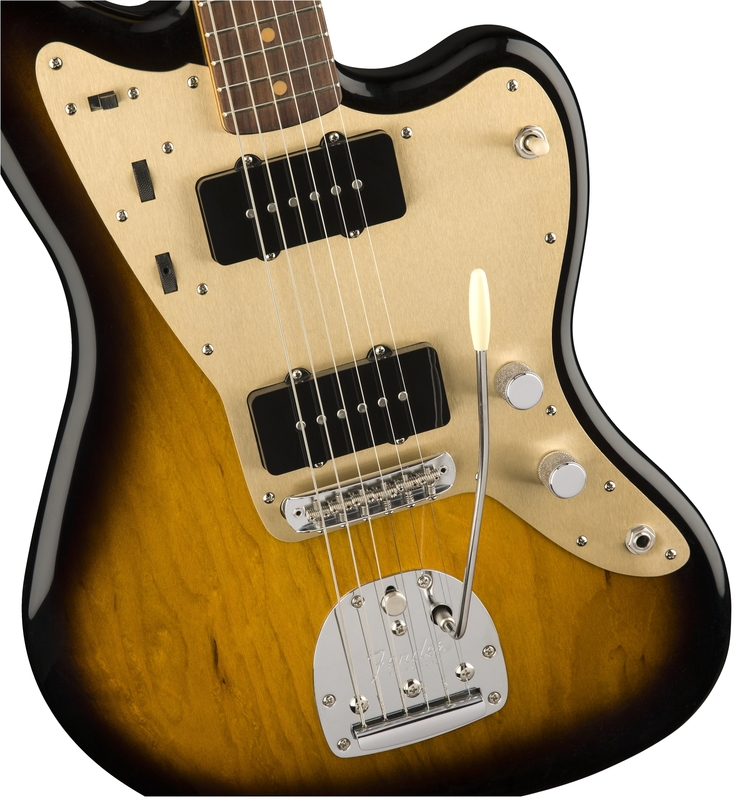 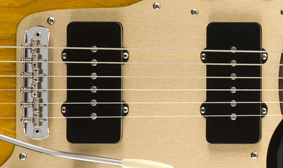 Vintage-style single-coil pickups provide classic Jazzmaster style tone, warm, wide and dynamic. 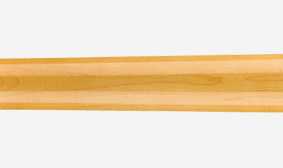 This traditional “C” shaped neck has a comfortable profile that works well for most players and playing styles. 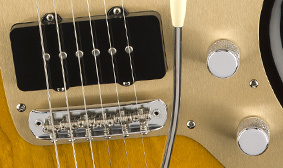 Early prototypes of the Jazzmaster® featured black pickup covers and Tele® control knobs. 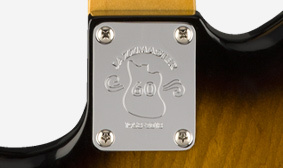 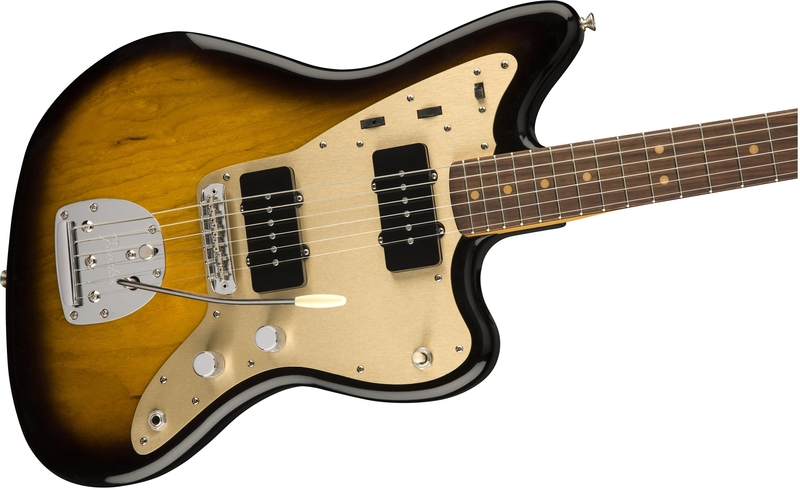 This rare look pays tribute to the Jazzmaster on its 60th Anniversary. 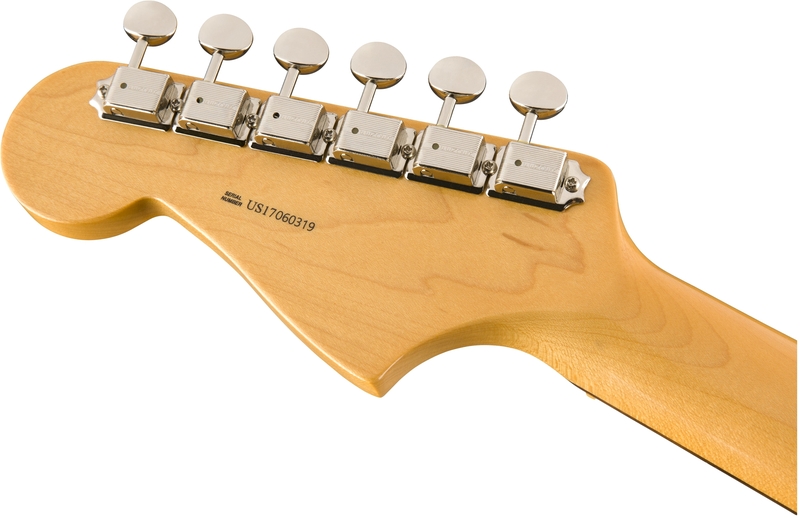 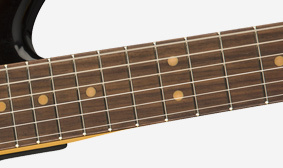 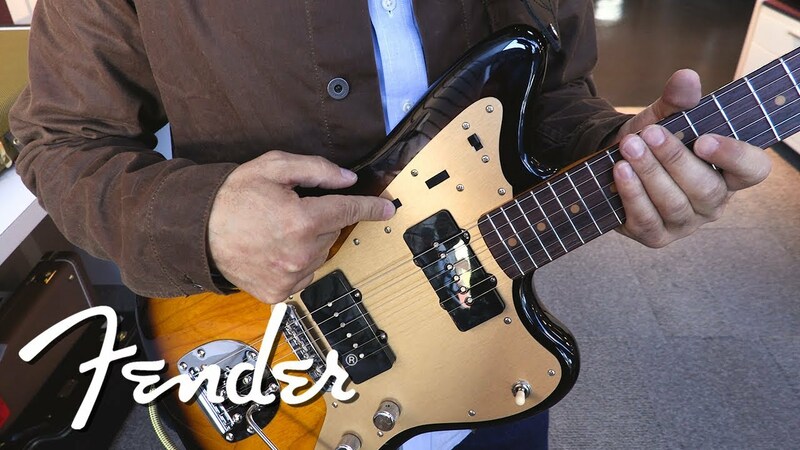 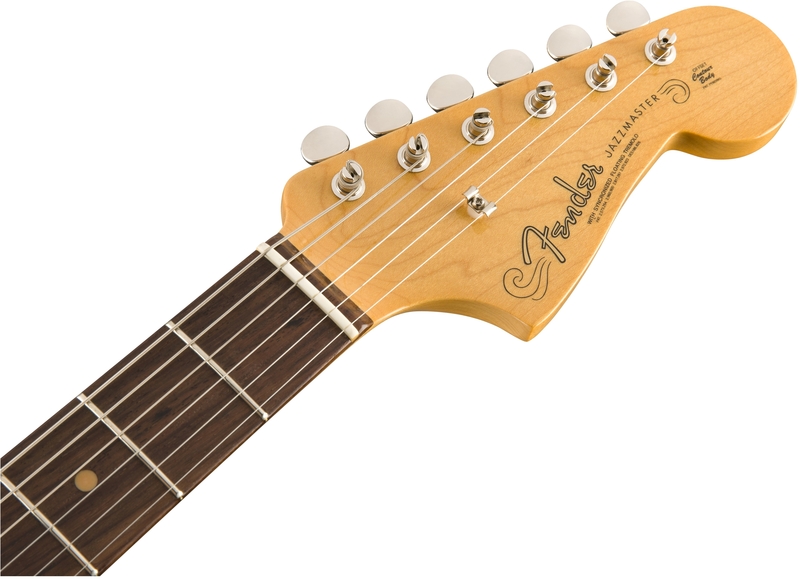 This instrument has a 7.25" fingerboard radius, with a more pronounced "vintage-style" curvature typical of Fender guitars from the 1950s, '60 and '70s.